iPad Air is powered by Apple A7 64-bit chip dual-core processor and runs on a newly- updated iOS 7. It sports with 9.7-inch IPS LCD Retina Display and 5MP iSight rear camera paired with 1.3MP front-facing FaceTime camera. The new device also features Apple M7 Motion processor and a Built-in microphone. 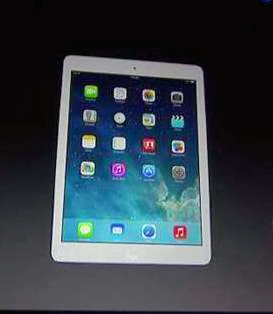 Compare with other iPad tablet models, iPad air is thinner and lighter. For those who are waiting for the iPad Air, you can get the base model with the 16Gb and Wi-Fi capable for the a price tag of USD499. I’m not really sure if all of you are familiar on Piso Net. This is the newest computer shop of the young Pinoys nowadays. It’s just like a combination of PC rental and Aracade rental services. All you need to is insert coins to the machine to access internet. The rate is one peso for 5 mins but some shop’s rate are one peso for 6 mins. 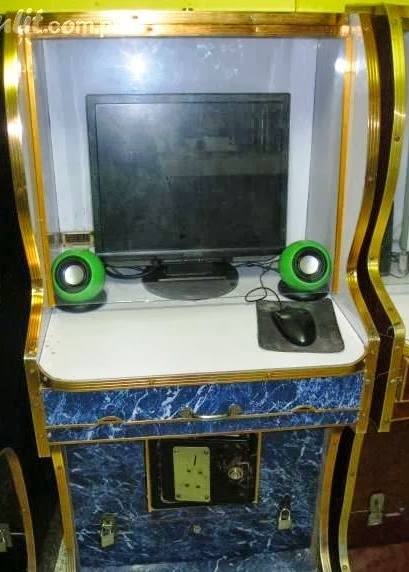 Piso Net is composed of PC parts and a wooden box which is similar to arcade machine or videoke machine. Almost every other streets on the Metro has now Piso Net. It's also one of the growing businesses in Manila. Have you ever try Pisonet? What can you say about it? If you’re waiting for the Apple iPad 5, Apple is reported to be announcing this new gadget on October 22nd. 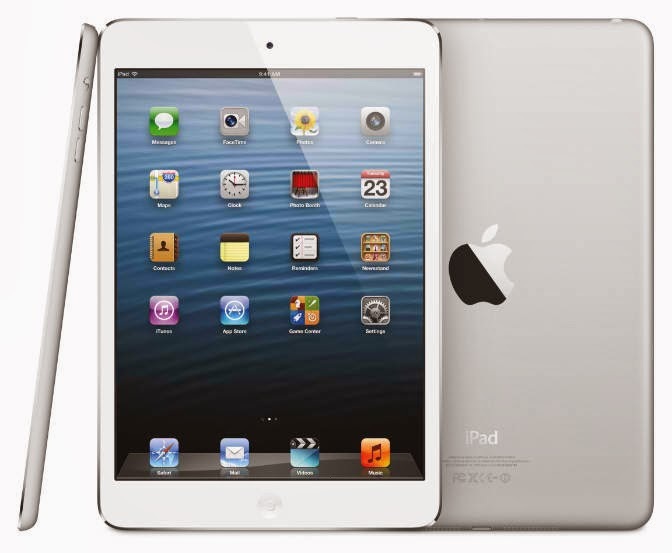 The Ipad 5 will shorter and lighter and will likely to have new fingerprint sensor just like the latest iPhone 5s. It’s also rumored this device will have the Apple's 64-bit A7 CPU. There’s no yet exact date when and where Apple is holding the event. The company might announced new products as well. HTC recently announced the official release of the new HTC One Mini in the Philippines. 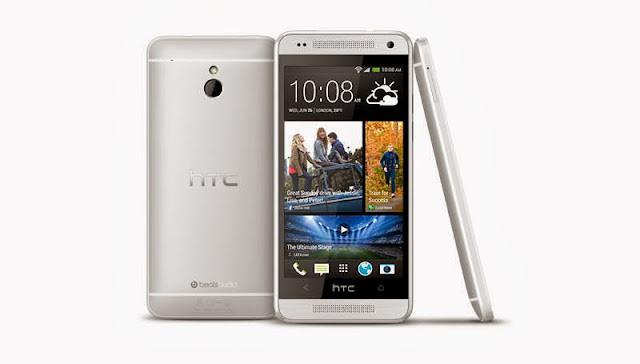 HTC One Mini runs on Android 4.2.2 Jellybean and powered by 1.4GHz dual-core Snapdragon. It features 4MP UltraPixel camera with LED flash paired with 1.6MP front-facing camera, 4.3-inch Super LCD2 display, among others. If MyPhone has an most affordable MyPhone Rain 3G, Cherry Mobile unveiled their new ultra-affordable mobile phone- the Cherry Mobile LIFE. Cherry Mobile LIFE is powered by 1.3GHz Dual-Core CPU and runs on Android 4.2 Jellybean. It features 4-inch WVGA (480 x 800) display, Dual-SIM, Dual Standby, 5 megapixel AF rear camera with LED flash paired with 0.3 megapixel front-facing, 4GB internal storage, 512MB RAM, among others. The new LG G2 is for FREE when you avail the Globe Unlisurf Plan 1799. 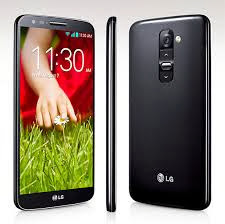 LG G2 is carrying amazing specs of a powerful android smartphone such as 2.3GHz quad-core processor, Android 4.2.2 Jellybean, Adreno 330 GPU, 13 megapixel camera with LED flash paired with 2.1Mp w/ front-facing camera and Full HD 1080p video recording. The new handset also equipped with Corning Gorilla Glass 3, 32GB internal memory paired with 2GB RAM, 5.2-inch 1080 x 1920 Tru-HD IPS+ LCD display, among others. 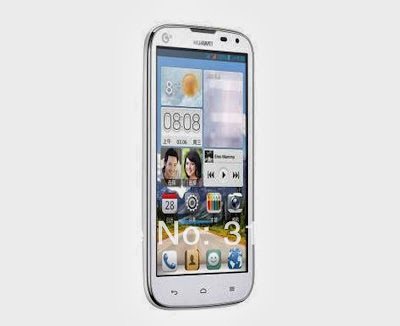 For the Smart Plan 800, customers can get the dual-sim smartphone Huawei Ascend G610 for FREE. 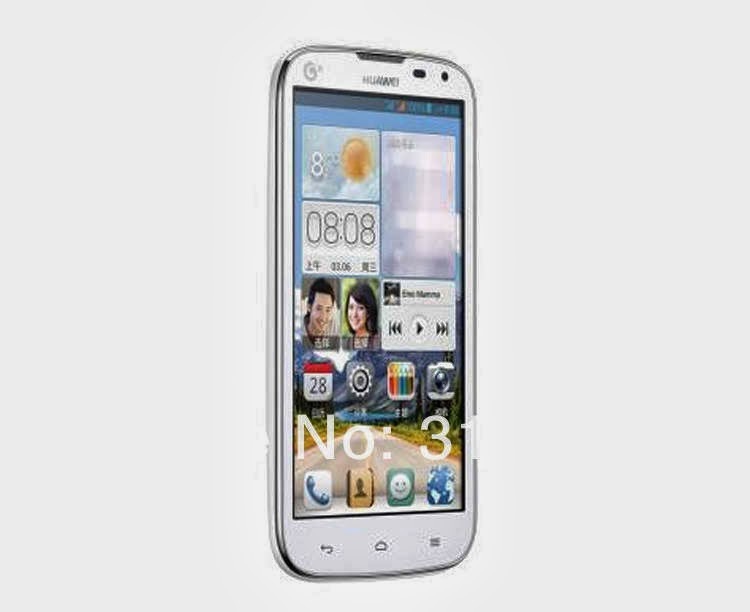 Huawei Ascend G610 is powered by 1.2GHz quad-core processor and runs on Android 4.2 Jellybean. It sports with 5.0-inch IPS LCD display, 5MP rear camera paired with VGA front-facing camera, 4GB internal storage and 1GB RAM. The new handset also features FM radio tuner, Li-Ion 2,150mAh battery, PowerVR SGX 544MP, among others. 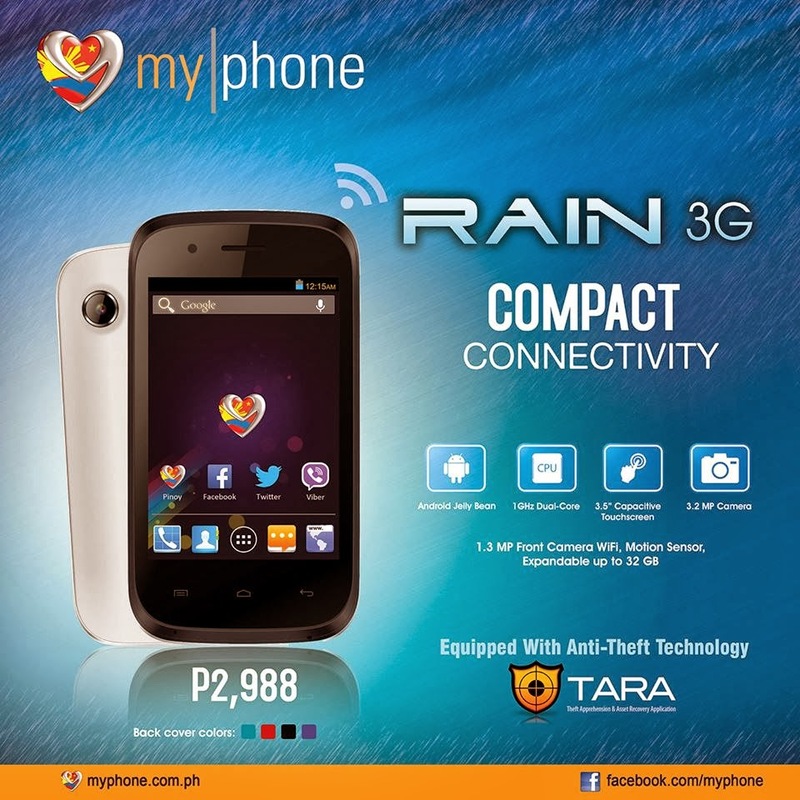 After the Rain 3G, MyPhone released another affordable android smartphone- the MyPhone Rain 2G. 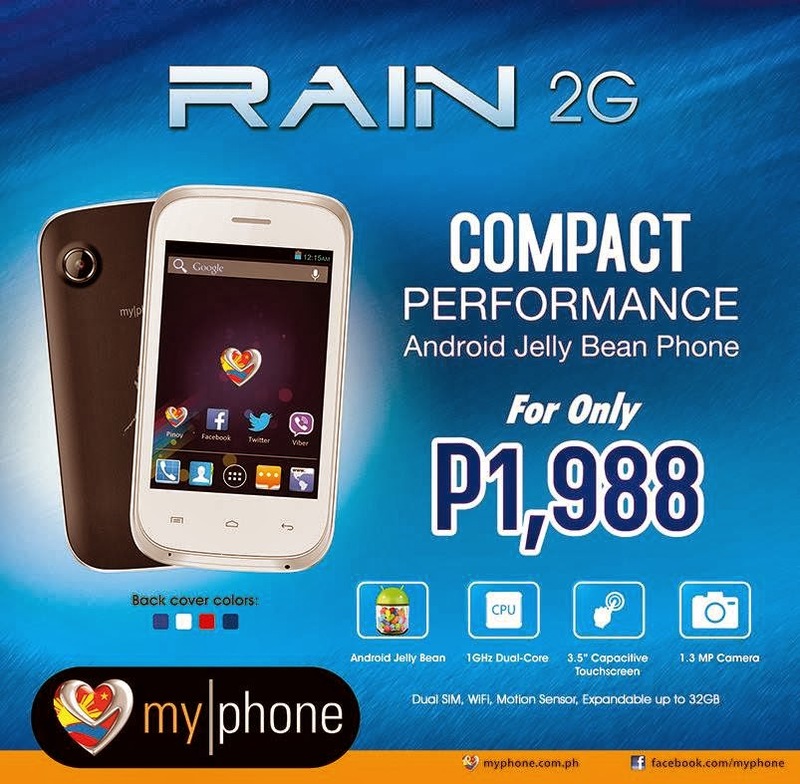 MyPhone Rain 2G runs on the latest Android Android 4.2.2 Jelly Bean operating system and powered by 1GHz Dual-core processor. It features 3.5” Capacitive Touchscreen, 1.3MP Camera, Dual Sim, among others.